Lots of outdoor adventures for this little guy! Fishing, apples, and trains are just a few of Michael’s favorite things! Check out some sneak peak portraits from his one year/Cakesmash session! This little guy stole our hearts with his smile and squishy little cheeks! He did amazing for his Just New session. We cannot wait to watch him grow and capture each milestone! Check out a sneak peek! There is nothing like a bond between siblings! These brothers melted our hearts as we watched big brother Reed love on his baby brother Camden! Check out all of the beautiful portraits we captured of this amazing family. We had a blast shooting our sunflower sessions this year! Every year we have a gracious local farmer who plants sunflower fields just for our private use, but due to the bad weather, the crops didn't flourish as we hoped. Gray Apple Market saved the day by allowing us to use their beautiful sunflower gardens and market, too! Be sure to check them out for all of your Fall and farmhouse decor! Here's a sneak peek of a few families we were blessed to capture portraits of. We look forward to a bumper crop next year and more sunflower sessions! How adorable is this little guy?! His squishy little cheeks had us all gushing over him! Check out a few portraits from his Just New session! Our bump contest winner, Mikaela, and her husband, recently brought their precious little girl, Evie, in to the studio for her own session outside of mommy's belly! We were in love! We cannot wait to watch her grow and to capture each precious milestone. Check out a sneak peek from her session! In an industry booming with the sale of "prosumer" grade cameras, it's easy to be a self proclaim. You are indeed a photographer and self taught is fine; plenty of amazing photographers are. We would like to discuss a few things on this topic. Professional grade equiptment is very different. It is much, much more costly to purchase and maintain. Not all photographers are going to have the glass series to cut through heavy fog, bright light rays, or waterproof stuff to shoot in the craziest weather conditions, if need be. Professionals have that all covered! They also know how to use it and when. It's what makes professionals just that- taking time to perfect the craft through multiple experiences, learning opportunities, and investing hours of learning the latest techniques and keeping up with cutting edge technology. For important milestones and memories that you want to last a lifetime, please consider investing in hiring a professional. Now, if Aunt Susie down the street or mom's BFF momtog is teaching herself and building a portfolio, help them out, by all means! Reserve the special milestones, though, to be captured by professionals ESPECIALLY when it comes to posing your tiny human. Newborn photography should never be a portfolio building or a practice opportunity. I'll spare you the 3,000 reason why and cut to the chase. You need people handling your baby in the specially molded poses who are trained to do so. Tiny vessels can be pinched off by the simple act of putting baby in a container/basket etc and causing irreversible nerve damage that you may not even discover, or worse. This is not a scare tactic for you to come to us for your newborn session-this is serious and meant to be informative. We have a passion for photography, but we have more of a passion to love and serve others. We love your babies and do not ever want to see babies injured. Many of the images you see are carefully edited for hours and the baby is not actually posed in a way that is the final result...these images are composite images put together by a professional designer. No, our babies are never just hanging in whimsical dreamcatchers..well they are except there are always multiple hands on the baby!!! At Mudpies Studio, you can breathe a sigh of relief that are not only licensed and insured to handle the tiniest infants we have medical background with a specialty in neonatal! We have all state child clearances and we are current and up to date on all vaccines- many people do not think of this! I can't imagine taking my newest precious cargo to someone and not knowing this. Newborn sessions are UP CLOSE and personal with the entire family and your little ones immune system needs to still grow! That aside, we have over 16 years experience and a team dedicted to our work but mostly, YOUR safety. We are not a high volume studio. We are able to turn around images in just days- each one beautifully edited to perfection. Little Sam has scraped up knees? (although sometimes cute to capture that boy phase), we have you covered! We can edit that out! That stain on your shirt from the babies hands that just happened prior to arrival? We got you. You do not pay extra for editing, nor do you search through tons of images and select which ones and what we will edit. Professional service is all encompassing. W strive for all shoots to be stress free. Often there are two or more photographers working with your family at a session. We know what it takes to get an entire family ready for pictures. WE take all of the stress away from beginning to the delivery of your final images by helping to plan and style your session, to directing with our professional eye for location, lighting, posing and angles so that you get the most from every session. You will have a convenient online gallery with a large amount of images to share with friends and family that they will fall in love with. We promise! Summer on the Eastern Shore never looked so good! Too many to post! We have been busy with so many beautiful beach sessions. From weddings, rock the bump sessions to seniors, family portraits and gender reveals, we've got you covered! Here's a sneak peek of the past week! Mudpies N Butterflies shoots at various locations on the Eastern Shores, Delaware and Maryland. We love the beach just as much as you and would love the capture your family or event at the beach! Call us at (717) 650-2694 or email us at servelovecapture@gmail.com. We were gushing over this little guy from the moment he came in to our studio! At almost 2 months old, this little guy rocked his "Not So New" session! We did so many fun themes that incorporated all things that his mommy and daddy love, even their last name! Baby Campbell, we cannot wait to watch you grow! Check out this sneak peek of his session. Not so new? Not a problem ! How precious is this little one?! Although we prefer to have babes in the studio when they are fresh and tiny within two weeks after delivery (so they are easier to mold into those adorable poses in a "Just New" session), being an older baby doesn't mean you missed having newborn images capture! You can still book a newborn session. This little one rocked her session at 6 weeks old! We are trained to capture every stage of life in an artistic and creative way. Check out some of the amazing portraits from this little doll's session! Don't blink! You're going to want this back, you're gonna miss this ......its sooo true! You will never regret photographing each stage of baby's first year and will always want to look back at the memories preserved forever. Did you know we offer packages to capture the entire first year of life? We know the days are long but the years fly by. Let us help you plan so you never worry about missing a milestone! We have numerous plans and can customize a plan for what you need. Two of our popular plans is where we photograph your baby at 4-10 days old with a "Just New" session, 3 months belly session, 6 months sitter session, 9 months is the standing/walking session, and one year and a cake smash/first birthday session. We can also streamline photographing your baby and capture the big milestones at 4-10 days old, 6 months, and 12 months. We love to include any holidays and family with each session. we want to provide you memories that really capture each milestone for your family. We also love to capture your growing family by offering FREE gender reveal/announcement sessions, discounted maternity minis, and Rock the Bump Sessions. Birthstories, Fresh48 in hospital newborn mini session all discounted as well when you book your Just New, styled in studio newborn session. Check out The Bonds family! We have captured their growing family over the years through baby plans. Highlighted below is just a sneak peek from their sweet little girls first year. Our rock the bump winner! We are so happy to share photos of the mom-to-be and rock the bump contest winner, Mikaela! Mikaela looked absolutely stunning for her session! We cannot wait to meet their little bundle of joy! We loved having this little guy in our studio for his newborn photos! We were able to create some adorable sets with heirlooms that the family brought with them. How fun, too, that we were able to incorporate their love for raising chickens! We cannot wait to continue to photograph this precious little boy as he grows. Did you know that we do beach photo session? Yes, you read that correctly! Mudpies N Butterflies shoots at varies locations on the Eastern Shores in Delaware and Maryland. Places included Lewes, Bethany, Rehoboth, Dewey, and Ocean City. Don't see your location? Just ask! 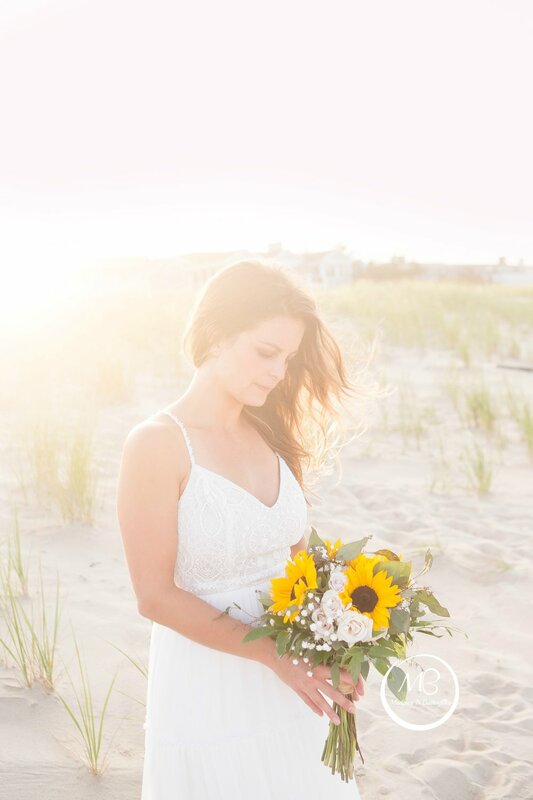 We love the beach just as much as you and would love the capture your special family photos, or even your wedding. at the beach! Call us at (717) 650-2694 or email us at servelovecapture@gmail.com. Also, check out a featured article in Central Penn Parent for some tips about Summer photography! We were in love the minute these tiny triplets came in to our studio! Photographing multiples is one of our specialties. We have years of experience and adore each and every sessions with all of these sweet little babes! Check out a sneak peek of this little gal and her protectors! We are so humbled to be given the top honors of Best Photographer in York County for 7 straight years! We love what we do and it shows in our work and interactions with our clients. We've been in business for many (16+) years now, and we have made so many friends along this journey! A little about us- we value our client's time and their hard earned money. You won't find us doing "quick" sessions because we've strapped ourselves for time or "squeezing" in a set or session. We are MOMs. We know what it's like to get everyone ready for pics, wrangle them all, etc. So we set out on a mission to provide our services in the most stress-free way possible! We bring extra hands and back ups when needed, we avoid the bewitching nap hours at all costs, and we never want you to leave out of breath or feeling rushed. We provide creative, fun sessions with fully edited digital art in the end. We contribute our success to our motto. Serve.Love.Capture. , in that order. We serve the Lord and our clients with all of our hearts. We love on people every chance we get and contribute much of our proceeds to non profit. Lastly, we capture all those special moments in life not only making lifetime clients but friends as well. Thank you for letting us do what we love and for your continued support! We can't wait to watch your family grow. We are exploding with creative options now that this warm weather has appeared! Whether it's a Perfect Pin up session you're looking for, or more of a cute session for the kiddos, the possibilities are endless! These can either be petite sessions or All American family sessions. From "greaser daddy-O's to Classy Chassis" we have tons of set options and props for these! As always, we offer a gorgeous gallery of fully edited copy right released images and canvas. Let us know what your vision is. We would love to get creative with you! Lil Slugger sessions are in full swing! Baseball season is here and we are super excited to snap some photos of your little slugger at the mound! This session is perfect for any age! Email us at servelovecapture@gmail.com to book your session today! Think love, peace and freedom of the great outdoors...We are throwing it back and doing retro VW sessions! We love that we can make it a light airy BOHO CHIC , TRUE CAMPING Style, OR GO RETRO or channel your inner hippy to suite your style. This is a fun, stress free time to capture natural interaction between you and your family. We will assist with wardrobe selection (even have many options on hand) and will help to style your perfect session. You will receive all fully edited (to perfection) digital images with a copy right release and a stunning large gallery wrapped canvas of your favorite Image (or trade and do prints!). 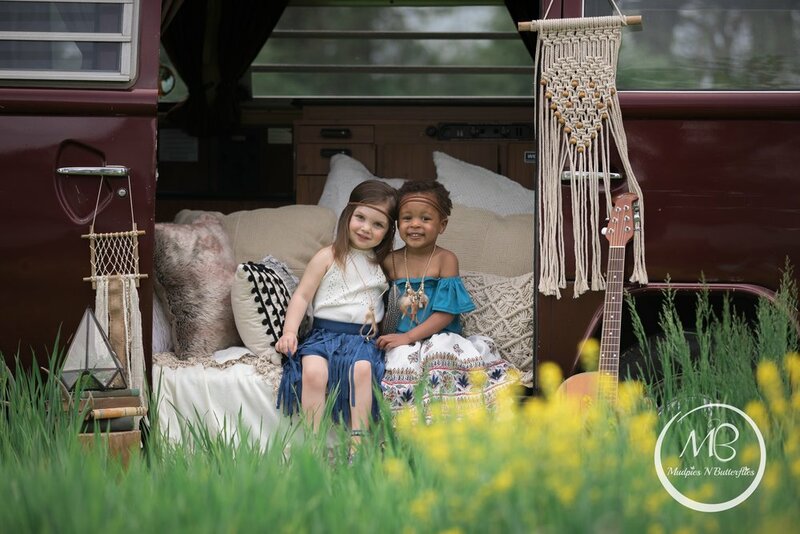 Email us at servelovecapture@gmail.com for more information and to book your session, we know your family will have fun with our groovy new bus!